Swedish newspaper Expressen has a season of live performances. Peter filmed two songs – “Sing” with Charlotte Centervall and the new single “Inte redo än”. Click here to see the performances. Above is a live performamce of the new single on Norwegian TV. 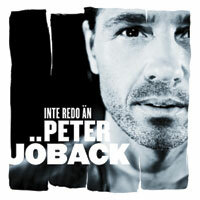 Peter’s new single “Inte redo än” is out today as a digital release. It appears to have only been released in EU countries on iTunes which is bad news for American, Australian and other non-European fans not to mention the many Swedish people living outside of Europe. It is a shame that Peter’s new record company has been quite shortsighted about this. The single is also available at 7digital and Klicktrack. “Inte redo än” is a very beautiful song and is (in my opinion) possibly one of the best things Peter has done. Lets hope it’s a big hit in the Nordic countries at least. Peter has mentioned in interviews that there are plans for a live album and it appears a release date has been set. Ginza are listing an album called “En kväll med Peter Jöback” for release on 19 November 2010. Since this is the name of Peter’s current tour, it would seem likely that this is the live album. No more details at this stage. 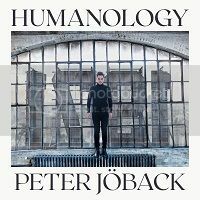 Peter has recorded another new song, this time for a special CD being released by Demensförbundet, Sweden’s Dementia Association. 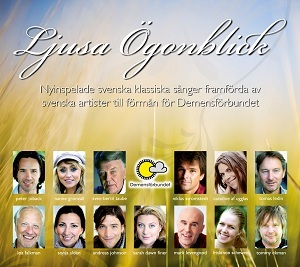 The CD is called “Ljusa ögonblick” (Bright moments) and features 12 artists performing newly recorded versions of classic Swedish songs. 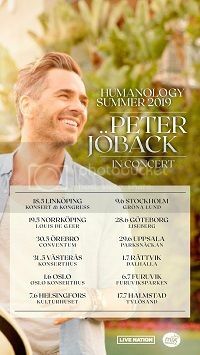 As well as Peter, the artists include Helen Sjöholm, Sarah Dawn Finer, Caroline af Ugglas, Tomas Ledin and Nanne Grönvall. Proceeds will go to the association to further their work in the field of dementia. Peter has recorded a song called “Ha lite tro på mig” which is a little confusing since he has already recorded the song. It was a bonus track on his “Det här är platsen” album available only via the internet in 2004. It is a Swedish version of the “Have A LIttle Faith In Me”, the classic John Hiatt song. 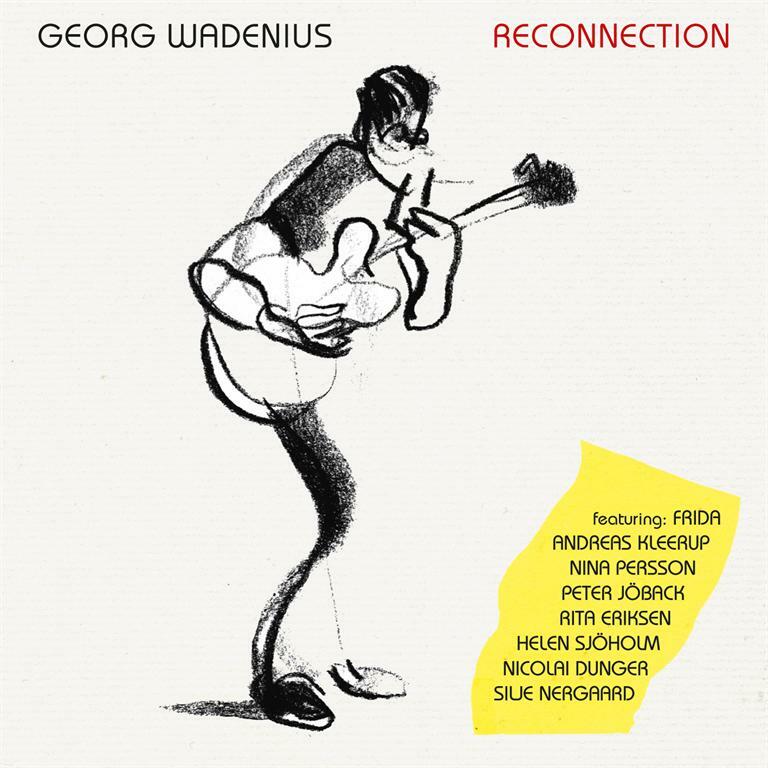 Swedish guitarist, Georg Wadenius releases his new album “Reconnection” on 27 October 2010. On the album, Georg has enlisted the vocal talents of a stellar cast of Swedish and Norwegian singers, including Peter. 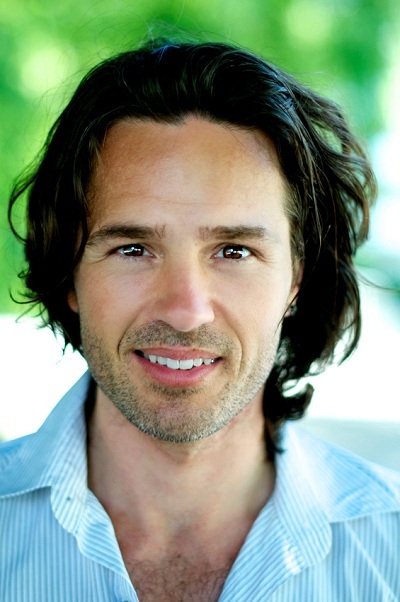 Peter provides vocals for the track “Come Back And Stay”, in all likelihood the Paul Young soul hit from the 80s. Other artists include Frida, Nina Persson, Helen Sjöholm and Kleerup among others. “Inte redo än” is now being played on Swedish radio. You can hear the song by clicking here. The single is being released in two weeks time. It appears that it will only be a digital release.